Do you want to build your speaking career? Have you considered how you can combine it with doing good? 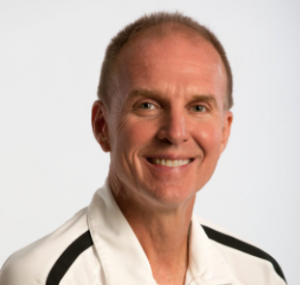 Listen as Coach Jim Johnson shares how he did it. Jim Johnson is first and foremost a high school basketball coach, but a few inspiring moments on an evening in 2006 has led to a secondary career as a motivational speaker with a team-building message that resonates with business and civic organizations around the country. His kind-hearted gesture of giving an autistic student, now affectionately known as J-Mac, on his team, the chance to make his dream come true captivated the hearts of millions of Americans. With the help of his teammates, J-Mac scored 20 points in just over four minutes, becoming an instant national celebrity. J-Mac’s magical moment won the Best Sports Moment Award at ESPN’s Award Ceremony later that year and has also inspired NBA legend, Magic Johnson, to visit the school. Following that memorable evening, Jim was named Coach of the Year by several local area organizations and was also presented with a National Sportsmanship Award. He’s been featured in major news outlets around the country, making a number of radio and television appearances, including the Oprah Winfrey and Jim Rome shows. 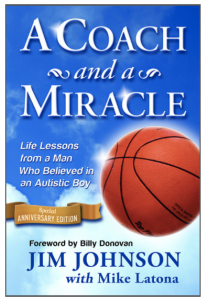 He’s the author of the bestselling book, A Coach and a Miracle. Here’s how to learn about Jim’s speaking services.